Third Beach is a a large beach on the west side of Stanley Park. 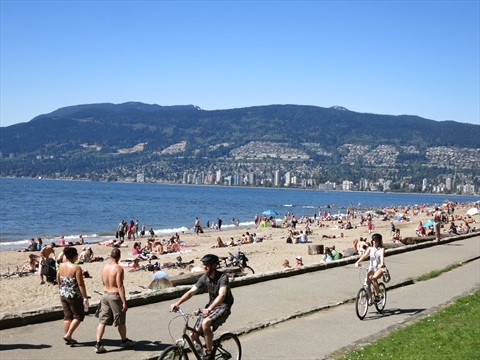 It is one of the most popular beaches in Stanley Park and is in such a beautiful setting with great views west over the ocean. Third Beach is good for swimming and suntanning. There is a concession stand, washrooms, showers, and a lifeguard station on the hill above Third Beach. On sunny Tuesday evenings from spring to fall, there is a large impromptu drum circle called Brahm's Tams Drum Circle that takes place. This is quite the event and can draw hundreds of people at the height of summer! 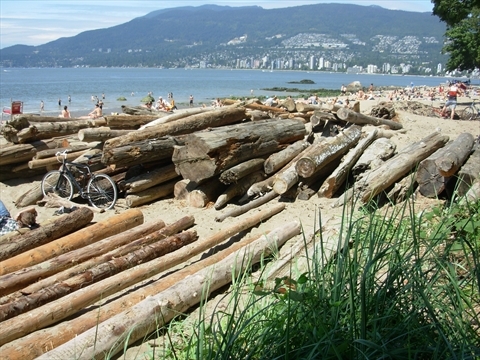 Where is Third Beach in Stanley Park? 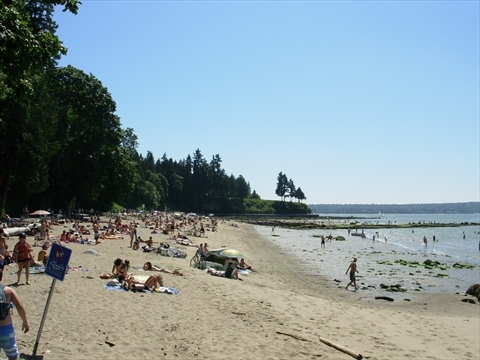 Third Beach is located on the west side of Stanley Park. 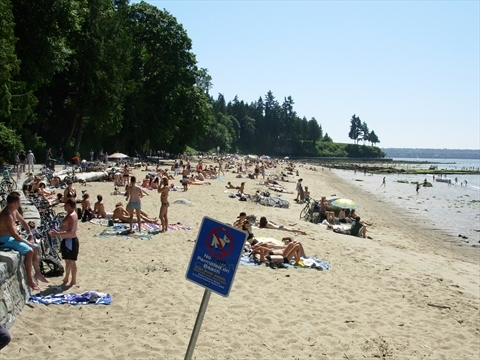 Where can you park for Third Beach in Stanley Park? 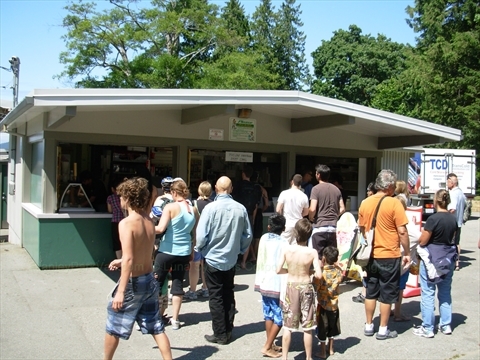 How to get to Third Beach in Stanley Park? 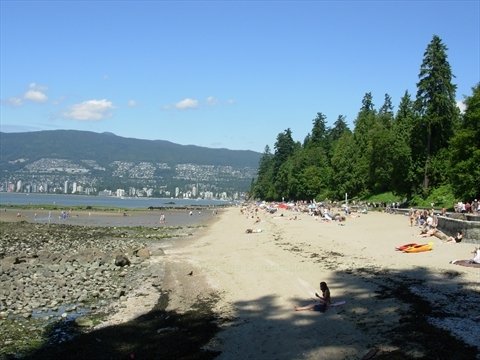 By Car: Since Third Beach is located on the west (far) side of Stanley Park, it takes some time to get to. To get to it by driving, get onto Stanley Park Drive via the Georgia Street entrance to Stanley Park. Take the first right in the traffic circle to get onto Stanley Park Drive. Continue along Stanley Park Drive all the way around Stanley Park past Prospect Point for about a kilometer then take the first right when you see a building (The Teahouse) on the right, then take the next right and go down the hill to the Third Beach Parking Lot. 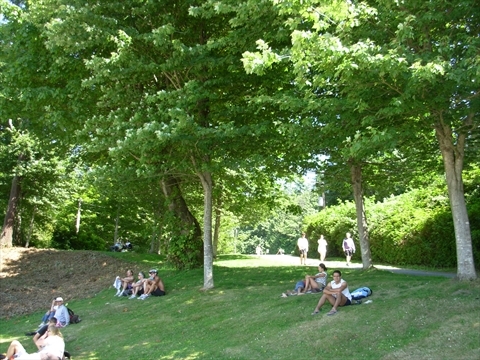 By Walking: From Second Beach / Ceperley Park: 1) walk west along the Stanley Park Seawall until you reach Third Beach. 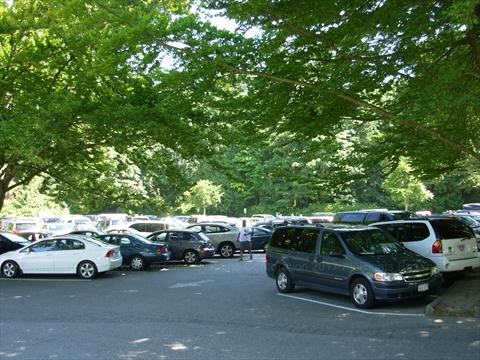 2) Alternatively, take the path across the road behind the Second Beach Concession Stand into the woods, turn left onto Rawlings Trail, then continue for a few kilometres until you exit the forest at the Teahouse restaurant. 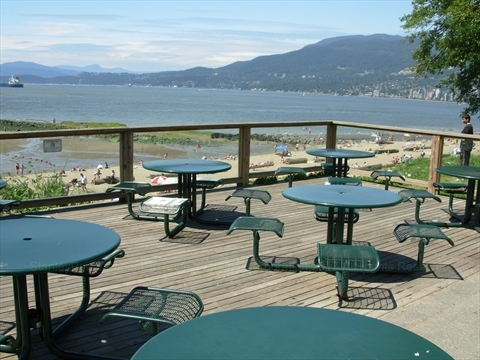 Take a right at the Teahouse and go down the hill to Third Beach. By Bicycle: From Second Beach / Ceperley Park: Take the path across the road behind the Second Beach Concession Stand into the woods, turn left onto Rawlings Trail, then continue for a few kilometres until you exit the forest at the Teahouse restaurant. At the Teahouse take a right and go down the hill to Third Beach. 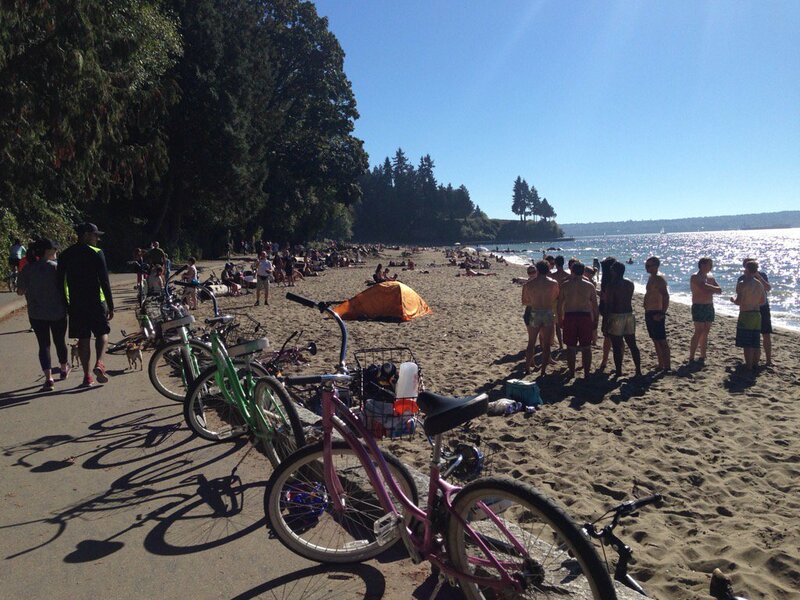 Note that you can return to Second Beach via the Stanley Park Seawall. By Bus: You CANNOT get to Third Beach by public transit. 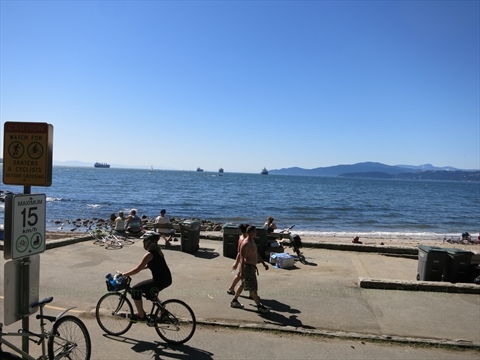 What else is located near Third Beach in Stanley Park? 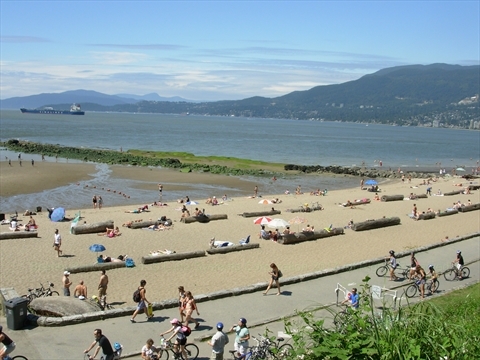 Third Beach is right on the Stanley Park Seawall. Siwash Rock is a short distance away on the seawall. Also, up the hill from Third Beach is Ferguson Point where the Teahouse Restaurant, E. Pauline Johnson Memorial, and Burma Forces cairn reside.